Ball games at the New Year celebration in Phonsavan. Young Hmong men and women flock to the New Year festival in in Phonsavan in northeastern Laos. Hmong girls dress in brightly colored costumes and engage ball games of catch as part of a ritual traditionally designed to find husbands. 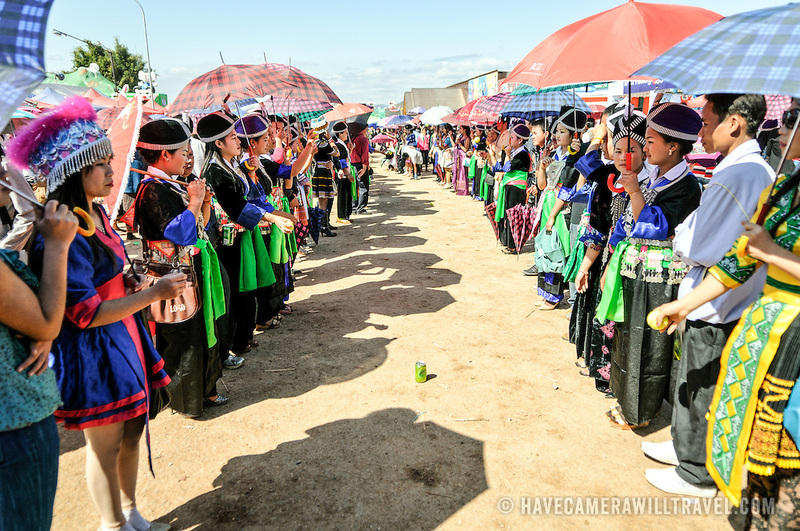 The people of the region are predominantly of Hmong ethnicity.